My name is Nicholas Wells. I am a Boy Scout in Troop 947 in West Chester, OH. I am raising money to assist my Eagle Scout Project and support the Outdoor Classroom at Creekside Early Childhood School. 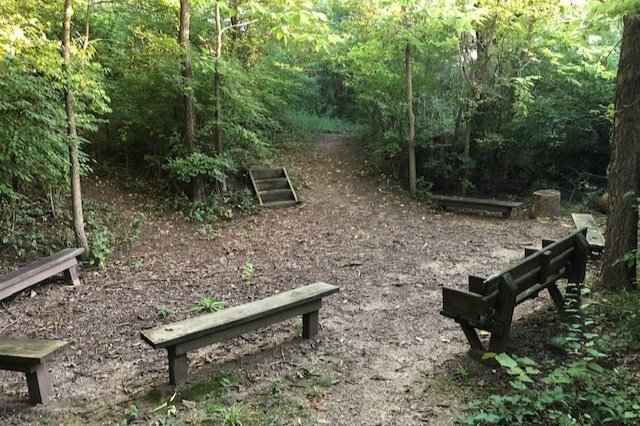 I will be leading a team to reconstruct the seating area for the Classroom’s Amphitheater and replace the bridge over the small creek. The first phase of this project will be to construct and donate benches to a newly designed seating arrangement to accommodate more children and centralize the teacher in view of all the students. The second phase of this project will be to replace the existing trail bridge over the small creek and improve the natural flow of the creek to reduce flooding in the classroom space. Creekside students and teachers utilize this Outdoor Classroom many times though out the year. This is an exciting space that allows children to get up from their desk, hike trails and learn about nature first hand. One of the things that I have enjoyed most as a Boy Scout has been spending time hiking and back packing trails throughout the mid-west, Smokey Mountains, and Appalachian Trails. I chose this Eagle Scout Project to be able to give back from my experiences in nature with hopes to spark interest and learning in the great outdoors. My goal is to have funds raised to begin replacing the seating arrangements in the Amphitheater in March. Thank you for your generosity to support my project and ultimately the students at Creekside Early Childhood School.